Can it help you become a better athlete?? The popularity of acupuncture and Chinese herbs in this country is growing at a tremendous rate. Two areas of treatment that are enjoying this growth spurt are athletic performance and sports medicine. Enhancing athletic performance, treating sports injuries and preventing injuries are three main areas of athletic activities where acupuncture and Chinese herbs can offer a great benefit. Chinese medicine is based on the concept of balance. As humans, we are programmed to live in a balanced state of health. The stresses and activities of life knock us out of balance and open the door to injuries, disease and sub-optimal performance. As athletes, we often train ourselves out of this state of health, doing too much for too long or in a inefficient manner. It takes a conscious effort on our part to also do the things that keep us healthy and support a faster, fitter athlete. We all know about training correctly, eating well, stretching and getting plenty of rest, however there are also supplements, herbal programs and treatments that can maximize our natural athletic abilities. At the 1998 Olympics in Nagano, Japan a bus left the Athlete’s Village every afternoon at 3:00 pm for the acupuncture department of a local clinic. Many elite international athletes are already taking advantage of the benefits of acupuncture and herbs and are adding these treatments to their physical and mental training programs. Pushing our limits is part of pursuing excellence as an athlete. We walk the fine edge of being incredibly fit, strong and fast and being injured or over-tired. Even in the best designed and managed training program injuries can occur. Most sports injuries involve the musculoskeletal system. A combination of acupuncture, massage and herbs can speed up the healing of injuries. Often athletes can return to their activities much sooner then when treating with conventional therapies. Injuries ranging from pulled muscles, ligament strains and tendonitis to more serious fractures can benefit from this type of program. Serious injuries such as fractures, ruptured tendons and internal injuries should be treated by a western medical doctor, however recovery from these injuries can be augmented by acupuncture. A regular treatment program of massage, acupuncture and herbs and a sensible and systematic approach to training will help keep your body both fit and healthy. The best way to treat an injury is before it occurs. An athlete’s intense training and competition schedule will push the body’s ability to stay in balance. Regular acupuncture treatments can help maintain this balance reducing the body’s susceptibility to injury and allowing for quicker recovery from training and competition. Chinese medicine approaches health with a complete vision. The mind, body and spirit are seen as functioning together to help create a vital and active life. As athletes, we ask a lot of ourselves. In turn, we need to make the time and energy necessary to take care of all aspects of our beings. Adding acupuncture and herbs to an exercise regimen is often the link needed to complete the program and to take that next step in athletic performance. Best wishes for all your athletic pursuits!! 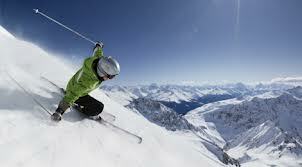 Joan Scheingraber is a Licensed Acupuncturist, avid skier, adventure athlete and coach. She can be reached at 208-720-7897 or Jazzsch@aol.com.